Stranded on a mountain after a plane crash, Kate Winslet must battle the elements of a frozen terrain. Trekking through white powder snow and cold winds, she suddenly falls through the cracks of a frigid lake. The camera captures her sinking lower and lower. This is, of course, Hollywood—and more specifically, a scene from the 2017 film The Mountain Between Us. But what must be noted in this dramatic act, aside from Winslet’s performance, is the jacket she is wearing. The hood, a Finland racoon fur trim, effortlessly floats in the water, almost glistening. Who—or should we say what—is Winslet’s fashion co-star? A Mackage down jacket. 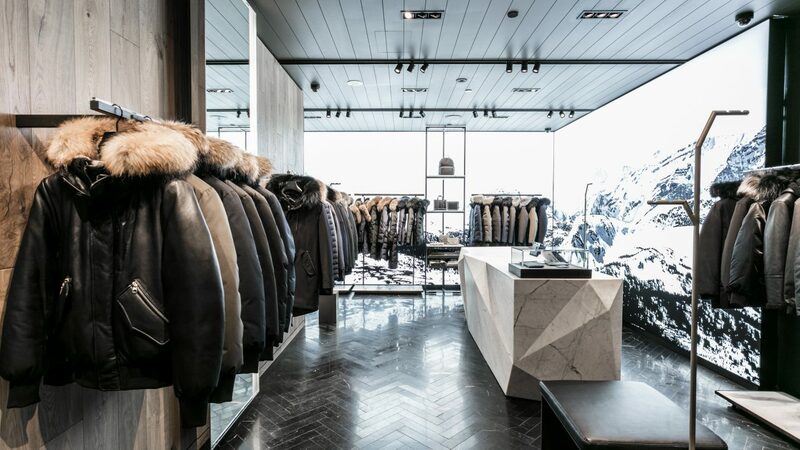 It’s a huge pop culture moment that Hugo Thibault, senior director of global communications for Mackage, tells a small group at the Audain Art Museum in Whistler just a week and a half before the Montreal-based brand debuts its first Vancouver store. 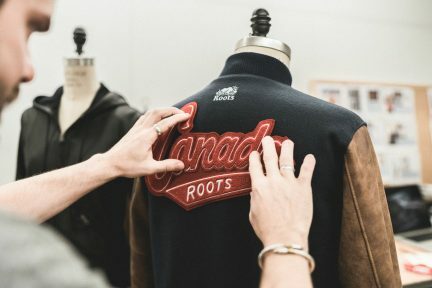 With the likes of Meghan Markle donning a Baya classic moto leather jacket at the 2017 Invictus Games in Toronto, and Madonna spotted in a Trish mid-length winter down coat in Paris, the Mackage celebrity endorsement has become abundant; not bad for a Canadian brand that was created by two childhood friends. 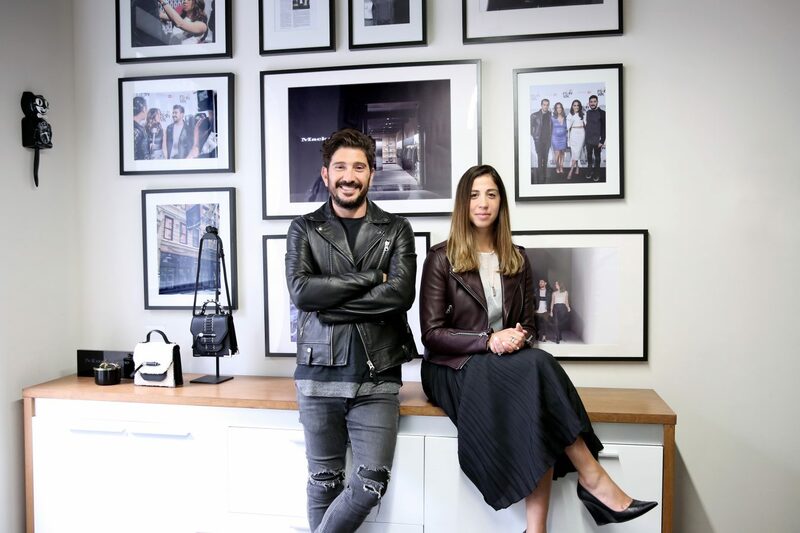 Co-founders Eran Elfassy and Elisa Dahan stand inside Mackage’s seventh store, the fourth in Canada, at CF Pacific Centre on opening day. Although the festivities don’t begin until the evening, fans are already flocking to the shop to get their hands on the beautifully-made products, from leather jackets to wool coats. “We have a very loyal customer here,” Elfassy notes. 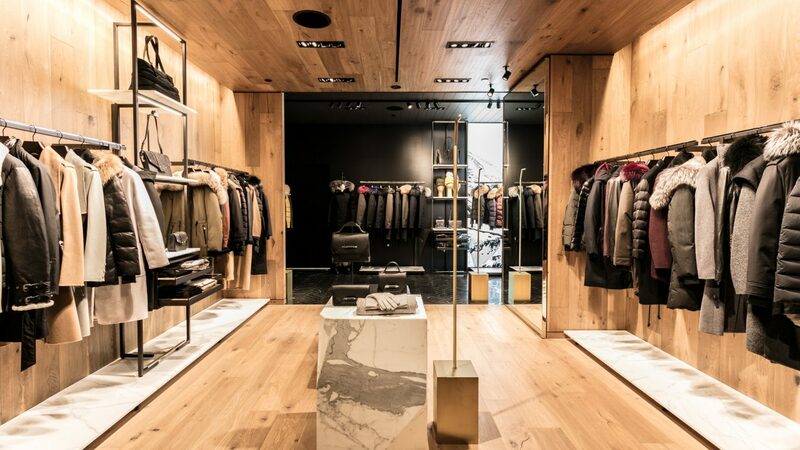 Vancouver was always on Mackage’s radar, but it was about finding the right spot. 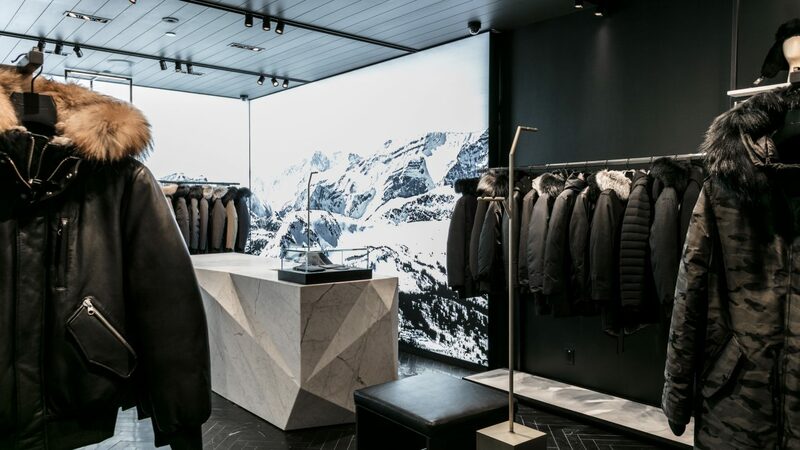 Designed by Burdifilek, the 1,325 square-foot Pacific Centre store feels like taking a walk in the great Canadian outdoors. 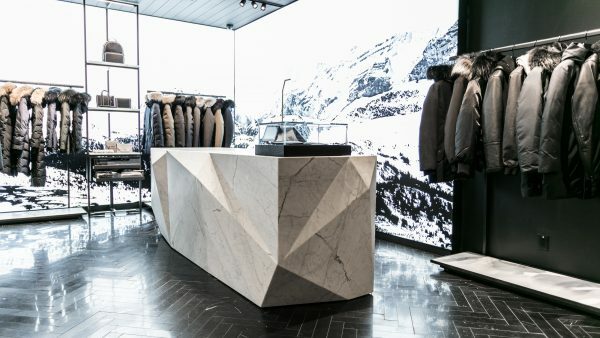 Images of grand Alberta mountains line the walls, and a chic white statuario marble iceberg plays the role of checkout counter. The mix of wood, metal, black marble, and herringbone flooring is not only an ode to nature, but also to the brand’s signature arrows. “Like our coats, it’s all mixed media,” Dahan explains. 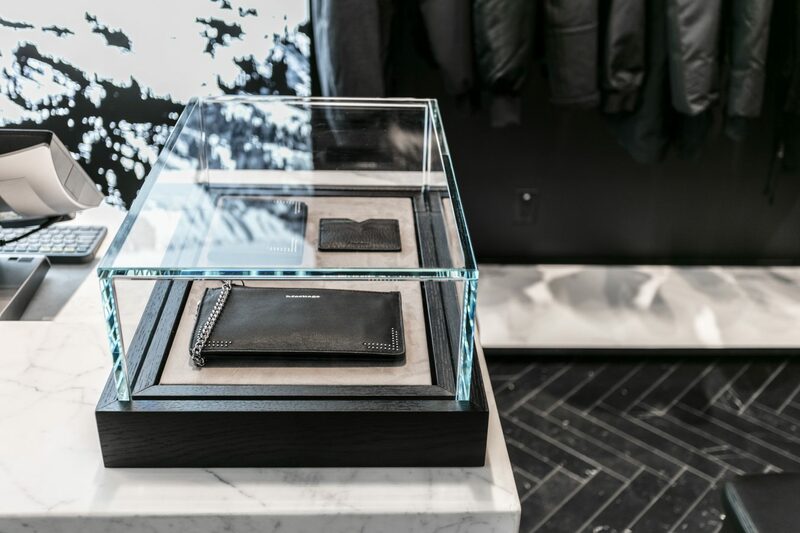 “We wanted the store to feel like that with different types of textures.” Minimal and easy to navigate, the shop operates similarly to that of a shoe store: one size of each item is displayed to make the browsing experience simpler. 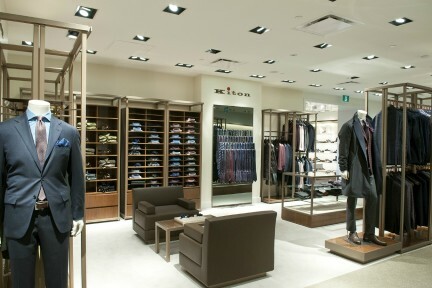 It also opens up a personal dialogue between shopper and attendant, giving the consumer a chance to explore options and understand the products in terms of function and aesthetic. Although the Canadian market has been the strongest for Mackage over the years, the brand is now making waves in the U.S. and Europe. Elfassy notes that each and every day, their team learns something new, and that wherever they expand to, they adapt. “What the needs are in Montreal aren’t necessarily the needs in Vancouver,” he says. 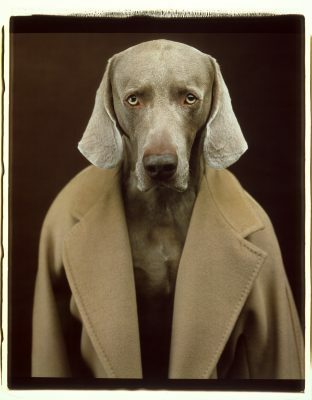 “But at the end of the day, it’s the same DNA and the same story.” Mackage was created to provide consumers with contemporary outerwear, and that’s something we can all understand. 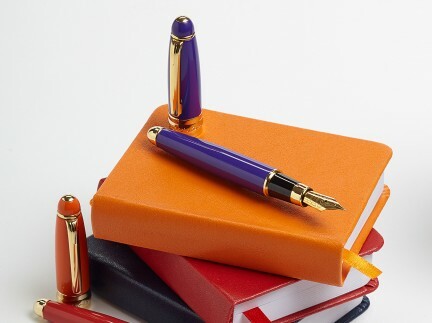 Check out our latest stories in Style.